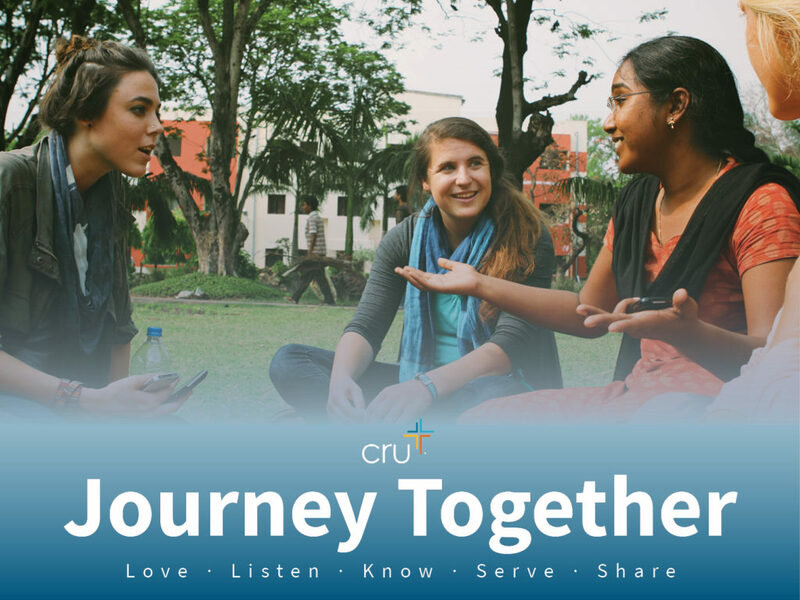 Cru partners with the Body of Christ to offer every person in the world the opportunity to hear and respond to the good news of God’s love and forgiveness. We are called to help fulfill the Great Commission by winning, building and sending followers of Jesus in every nation and to help the body of Christ do evangelism and discipleship. Our four key global strategies are to build spiritual movements with students, community leaders, local churches and across digital communities. To every person, in every culture, at every stage in their spiritual journey our promise is to Journey Together as they take their next steps with Jesus.